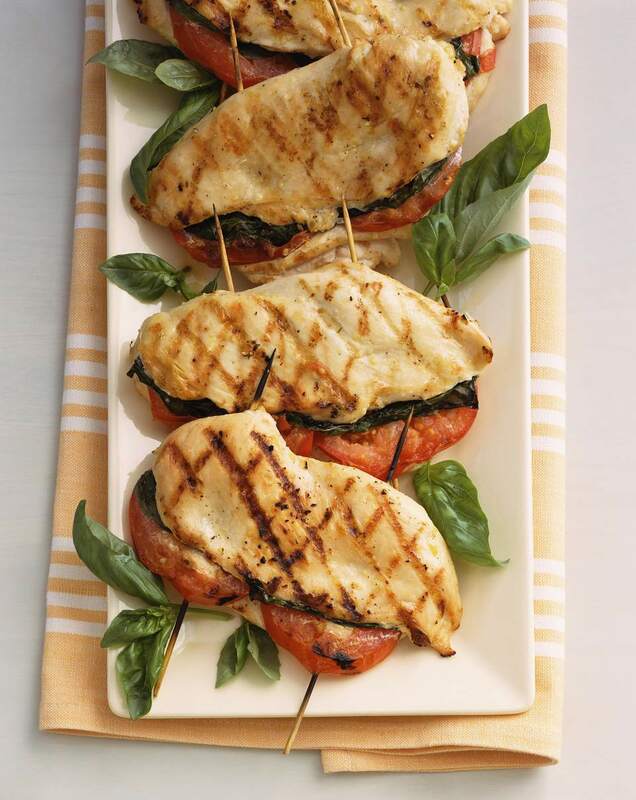 This is a great way to prepare chicken breasts. The combination of tomatoes, basil, and balsamic vinegar gives this dish a fantastic Italian-inspired flavor. Combine garlic, tomatoes, vinegar, oil, basil, black pepper, and salt in a food processor. Reserve a small amount of the chopped tomatoes and chopped basil for garnish. In a large resealable plastic bag, add chicken and 3/4 of the marinade. Make sure chicken is well coated. Seal bag and allow to marinate for 2 to 4 hours in the refrigerator. In a small saucepan, bring the reserved 1/4 of the marinade to a boil for 1 minute, reduce heat and allow mixture to simmer for 5 to 8 minutes. Remove from heat and set aside. Preheat grill. Place chicken on grill and cook on medium heat for 10 to 12 minutes, turning once. Remove chicken from heat, top with cooked sauce and garnish with diced tomatoes or chopped basil.